Last Saturday Bapu (Aniruddhasinh) had been to “Crossword” the one at Kemp’s Corner as it is Bapu’s (Aniruddhasinh) favourite book shop. Bapu (Aniruddhasinh) loves reading and he expects his Shraddhavan friends to devote at least some time of the day for reading. He always emphasizes that reading makes a person versatile and also never feels lonely in life. Recently he visited Nerurkar’s Ideal Book Store in Dadar and purchased books on a variety of subjects which he gifted to Suchit Dada on his 50th birthday. I know, when Bapu (Aniruddhasinh) delivered a lecture on the “Thirteen Points Programme” he had practically read more than 400 books. Similar was the case when he spoke on RAM RAJYA. His personal collection of books is now our library. He had personally selected the books for our Sanstha’s library at Gurukul Juinagar. Many of the books there are donated by him. On Saturday he gifted me a book named “Romancing The Balance Sheet” written by an imminent Chartered Accountant and founder & director of Lamcon School of Management, a business school located in Pune. Bapu (Aniruddhasinh) himself had written an article on “Finance” in a Marathi weekly magazine- Lokprabha. The article was on a unique subject of “Deficit Finance” and its effects on global economy; which is the current global scenario. Shree Ram Dada for your post on Bapus visit to Crossword. Bapu's quest for reading books on various topics is really amazing. He reads books on science, global economy,finance, philosophy, technology, history etc. which is really unique. He takes out time to select books of his choice. Bapu is nurturing and enjoying his hobby of reading and advise us also to read books. Once Suchit Dada also had said to me that “There is nothing else like reading”. I was fortunate enough to listen from Bapu that “Young generation must read books to gain proficiency over english language. It is important to have proficiency over english language to become sucessfull in today's competitive professional life”. It really motivates us to carve out time for reading. Oh the variety of topics that interest Bapu!! Some time back I even read about Bapu's visit to a book shop in town to buy books on Homeopathy!! What really touches me is the fact that He actually travels to the bookshop, spends time browsing, flipping through….and chooses the 'book' as a gift:) which only goes to show how special he thinks the 'book' is 🙂 Yes we need to read but we also need to enjoy the experience of choosing the book. We need to nurture our hobbies, give time and effort to them is one of the many things I learn from Bapu. Hari Om Dada. Reading had always been my weakness.But,after reading the reading habits of our Sadguru Bapu,I am again preparing to read more and not to keep collecting books. Our Bapu is really a versatile personality with vast knowledge..
Bapu exemplifies the same. His discourses, his writings, the way he co-relates concepts and explains them… as a listener it boggles you as to where does he gather all this from. Shree Ram Dada! I have of late felt that books divert my mind, give me new thoughts, topics to think about, and hence distract it. But after reading your post, I realise I was wrong in thinking thus. Maybe its a matter of picking the right books, which will add to my knowledge. Hari Om. तुमचे ब्लॉग्स regularly follow करत आलो आहे. प्रत्येक वेळी एक नवीन विषय, बापुंबद्दल काहीतरी नवीन आणि वेगळा वाचायला मिळतं. आमच्या विचारानामध्ये क्रांती घडवत आहेत. उद्या हेच वाचन, हेच विचार एक सुविचारी, संस्कारी समाज उभा करण्यास मदत करेल हे निश्चित. हि गोड सवय, हा छंद सर्वाना लागावा हि त्याच्या चरणी प्रार्थना. Hari Om Dada. 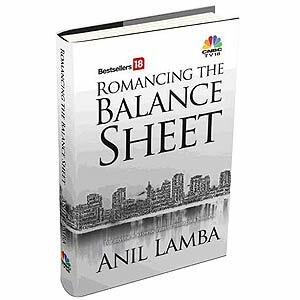 Your post titled “Romancing the Balance sheet” provided interesting reading. It was very informative. Param Pujya Bapu reading more than 400 books for delivering a lecture is a lesson in itself for all of us. It goes on to prove the importance of PREPARATION as a pre-requisite for undertaking any project. Reading has taken a back-seat in our lifestyle today. We need to rekindle the same as its benefits are manifold. Hari Om. This not only shows Parampujya Bapu's boundless love towards Parampujya Suchitdada and Pujya Samirdada, but also shows Parampujya Bapu's intense passion for reading books on such a wide scale of subjects. The information shared by you is very interesting and it will certainly motivate lot of Shraddhavans like me to start reading good books. Hari Om Dada..thnk u very much for sharing this info..